Since we spend at least eight hours (at least, we try to!) a day in bed, it goes without saying that we should definitely choose a mattress which feels comfortable to sleep in. Comfort comes in different levels. Choose which type you prefer: there’s plush, ultra-plush, firm. Make sure, you get ample support on your back, neck and shoulders. 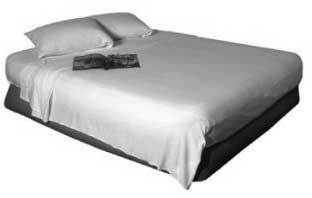 Make sure the mattress size or electric mattress pad doesn’t overwhelm your bedroom. You’d naturally want to leave some room to move around the bed. As with any purchase, ask the seller about what the warranty covers. Likewise, it would be smart to ask about the store’s return policy. This entry was posted in Bed/Mattress and tagged bed cover, mattress, tips on buying a mattress on December 6, 2011 by Mommy Yam.